Wrong and I have been working hard at creating the latest and greatest features for skUnity Docs. These new features allow addon developers to easily manage their addons, syntax and more, while also letting users interact with addons on a greater scale. An old feature from the original version of docs has made an appearance too! The first feature I'm proud to announce is SmartDocs. SmartDocs is the 'brand' of which multiple tools we have created live under. These tools automate the docs process for you and lets you as an addon developer, focus on creating rather than documenting. The first tools is SmartImport - this tool lets you have your addons syntax on the quickly and easily. Best part is - you don't have to do a thing. Unlike the usual way of manually creating the elements or the tedious task of importing JSON, SmartImport updates your docs whenever you update your resource on the forums. Thank you to everyone that applied - the Resource Staff Team is now full. I'll be sure to contact people that have applied but didn't get through if I need more people. After talking to many different members across skUnity - a common piece of feedback was that resources don't seem as moderated as they should be and that the docs contain outdated or uninformative data. Well today, I'm happy to announce the launch of the Resource Staff role. This role can be applied for and will be a requirement for when applying for Moderator when that role becomes available. 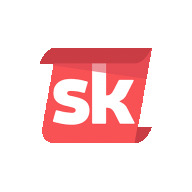 The Resource Staff role is a content reviewer role and to aid Moderators and Administrators by ensuring content is acceptable to skUnity's standards as well as maintaining the information on the docs. Resource Staff won't have any moderation powers such as banning, locking threads, deleting content or other forum permissions. Utilising a newly created moderation tool on the docs to review all elements submitted to the docs. Updating or removing them where necessary. By becoming Resource Staff, you'll get a fancy rank on the Discord (which I'm yet to decide on), a fancy rank on the forums including a snazzy banner and that fuzzy feeling of helping skUnity! News Launch of Premium Resources! I'm happy to announce the launch of skUnity Premium Resources! This means you can create resources and set a price for them. This allows for everyone to get a little back for their work. Premium Resources must be of a higher standard than a free resource. These resources will be heavily moderated and vetted to prevent lower quality content. Abuse of the Premium Resources system we have in place will result in your access being revoked. The sub-category names are self explanatory, so I won't be going over them. To post a Premium Resource - just click on the category that exists already. So you wanna post a Premium Script, click "Scripts" on the resources page and then the Premium option will appear. We have set the minimum resource price to $2.50, below this value, just doesn't make it worthwhile because of PayPal fees. If you think this should not be set, make a good case to me and we can talk about it. There is a 5% processing fee placed by skUnity - this is to help recuperate the cost of the addon required to have this feature as our donation money pot is dwindling. This processing fee will be present until we have received a total of $40. This amount covers the cost of the Premium Resources addon and another addon which is essential for the forums. Help get this limit removed quicker by donating through the "Target..." user upgrades. Anyone that helps reach the target will receive a fancy badge of their choice! If you have any comments, questions, feedback or whatever else - do not hesitate to contact me. @Wrong and I are very proud to announce the official release of skUnity Docs 2. I would like to thank the majority of people for their patience with the docs. I know that it has taken a while for the new docs to be created and released, but they're now here. To access the docs, simply click the docs button on forums navbar, head to https://skunity.com and click "documentation" or go to https://docs.skunity.com. We did in the end, move the docs to docs.skunity.com as we believe this allows us to keep the skunity.com domain organised and able to have different content on there without affecting the docs. As you can see at the top of the post, there is an skdocs (skUnity Docs) logo. We're also rolling out a brand new logo, designed by @Rezz. A huge thank you to everyone that is apart of skUnity. We hope you enjoy the new docs. If you have any feedback, suggestions, bug reports or whatever else - please reply below. Provide as much detail as possible as it helps us to know what needs doing. I have just changed the resources section to allow downloads from visitors of the site that aren't registered. This is in light of a demand for access to download resources through other means. If you have any questions, comments or objections over this, please do say.